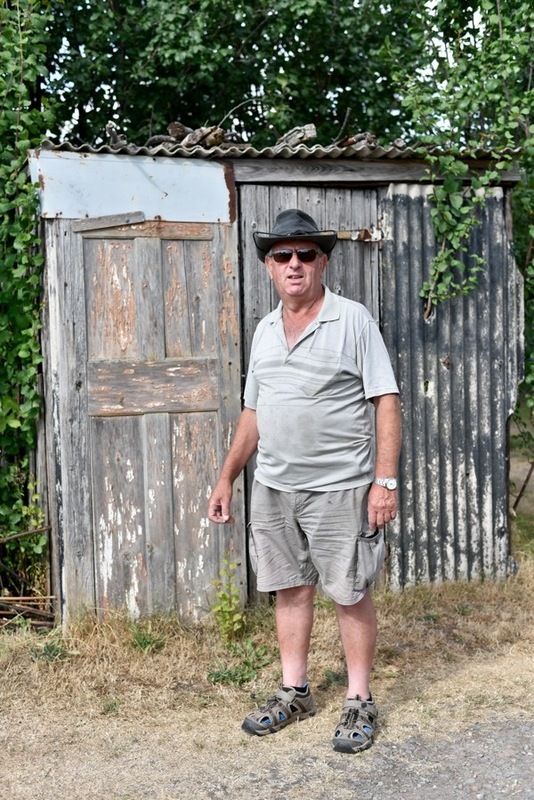 Brian – Castlefields Allotments, Shrewsbury 2018. 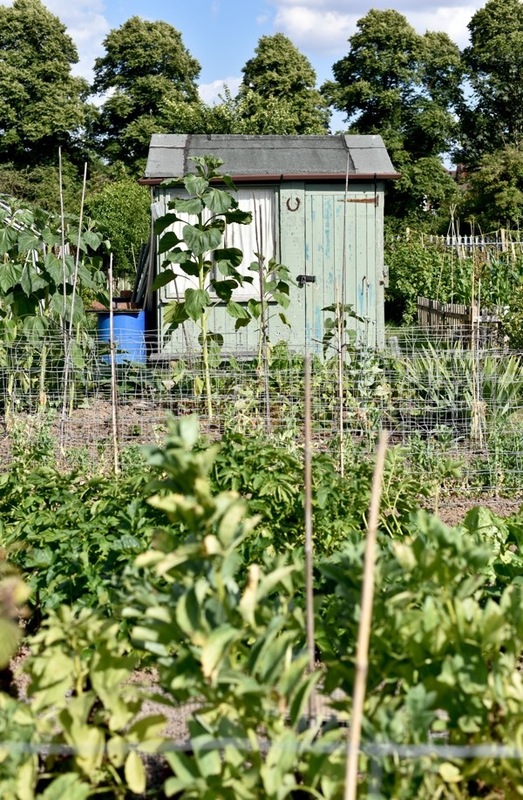 He has had this allotment for 55 years after inheriting it from his Dad. 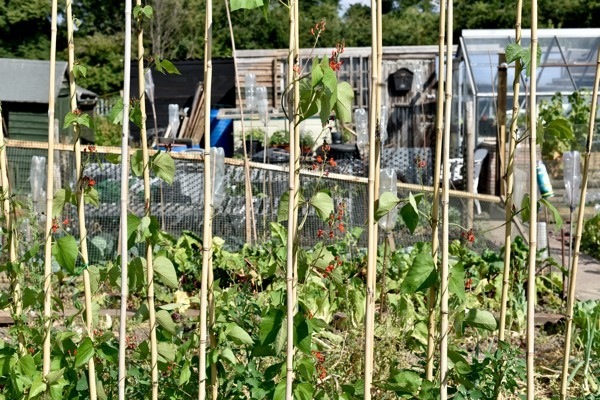 Living up the road he can see the allotment site from his house. 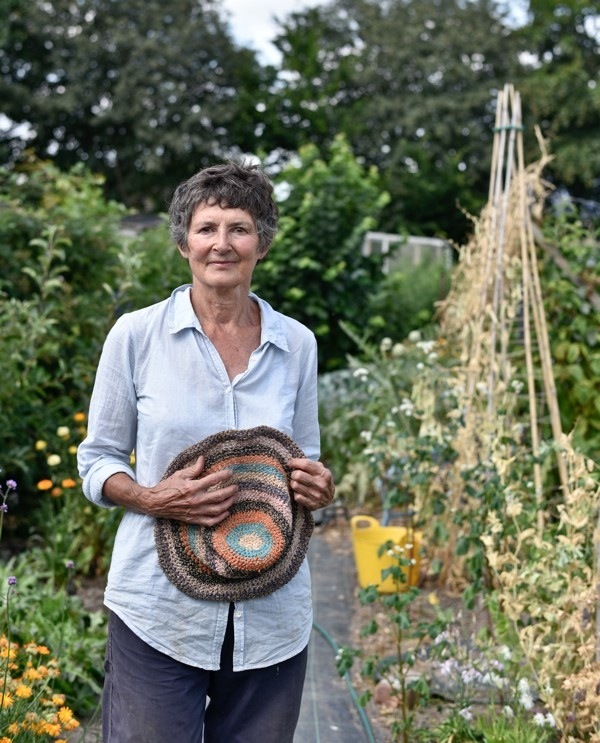 Sue – Castlefields Allotments Shrewsbury 2018. She was brought up in New York City but has been living in the UK for many years, although I could still detect a North American accent. 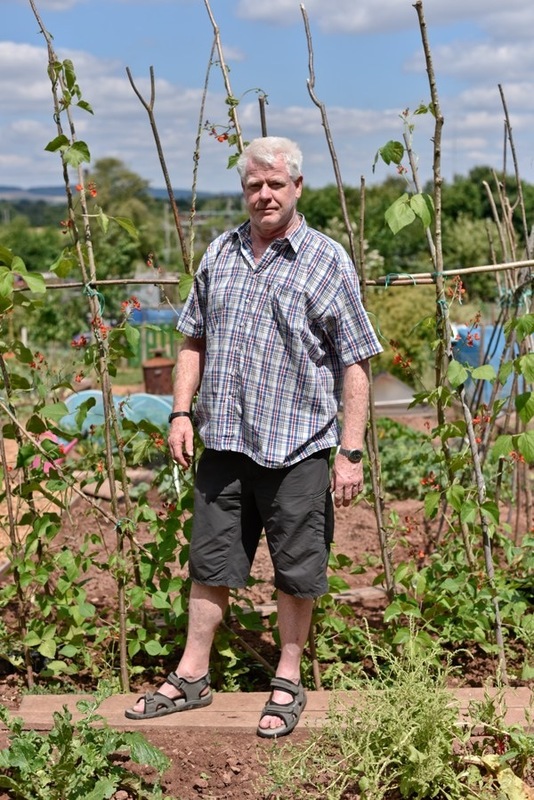 Chris – Castlefields Allotments, Shrewsbury 2018. 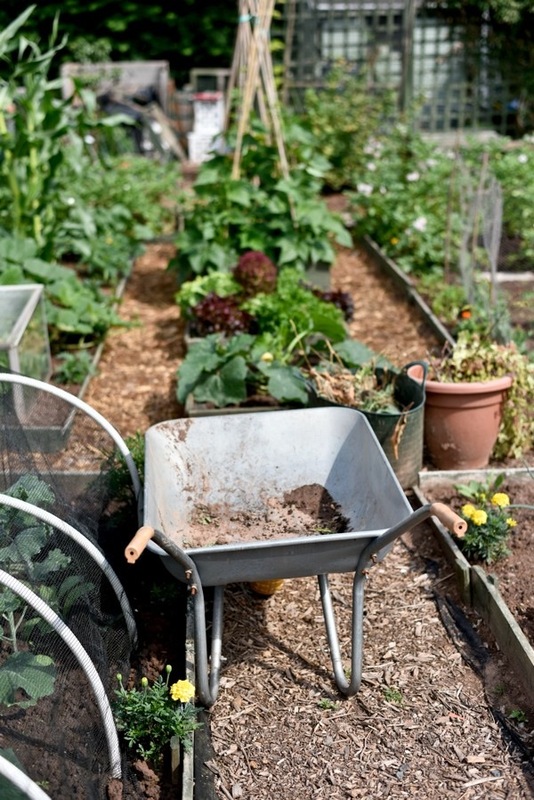 Originally from Wales, Chris moved across the nearby border and is the secretary of the Allotment Association. I was impressed with the organised site office which has electricity! 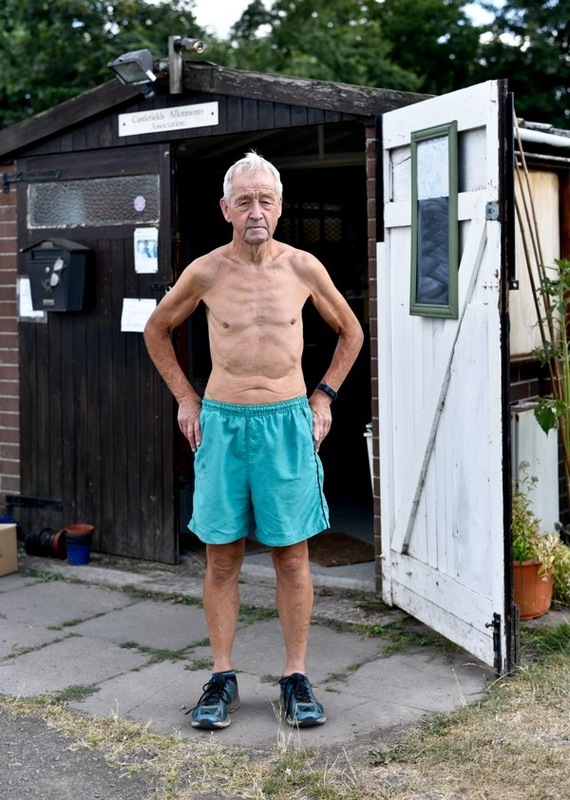 Terry – Castlefields Allotments, Shrewsbury 2018. 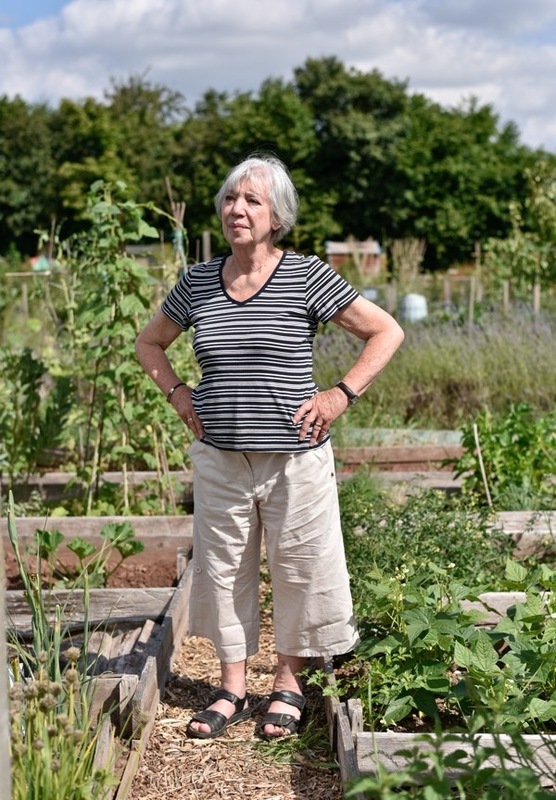 Terry was struggling after a second knee replacement, ‘bending down is the problem’. 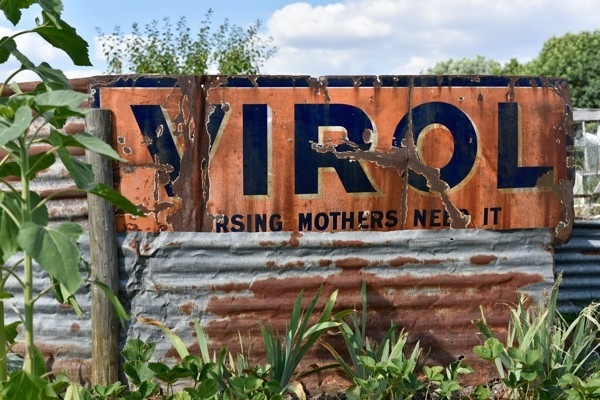 Viv – Ginhall Lane Allotments, Leominster 2018. 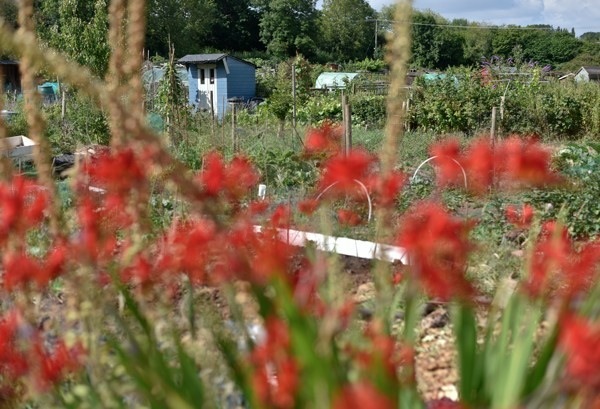 Viv has recently overcome a rare form of cancer but continues to enjoy her quarter plot after spending many years on the allotment committee. Originally from London she told me a little about her Russian Jewish family history. 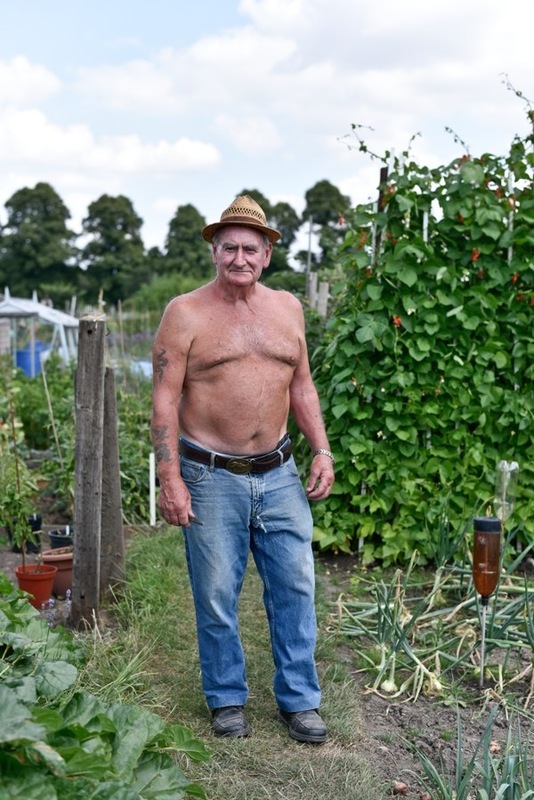 Rob – Ginhall Lane Allotments, Leominster 2018. Rob works as a signalman for Railtrack. I said that he must be great to enjoy free rail travel, however he soon corrected me. That ‘perk’ was in the old days of British rail. He’s from Leominster but has Irish and Dutch ancestry. 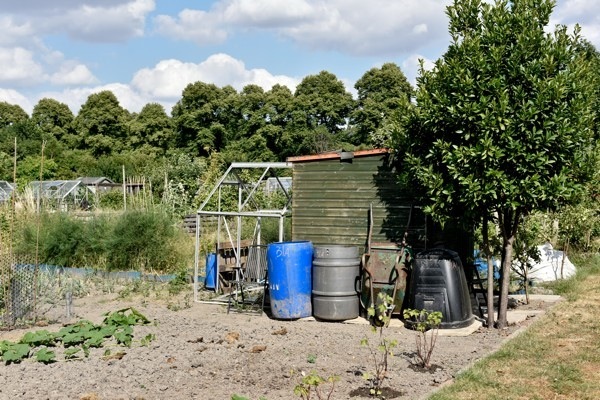 Carla – Ginhall Lane Allotments, Leominster 2018. Coming to the UK from Peru Carla has recently celebrated her daughter’s graduation from Bath University and has already found a good job in London. 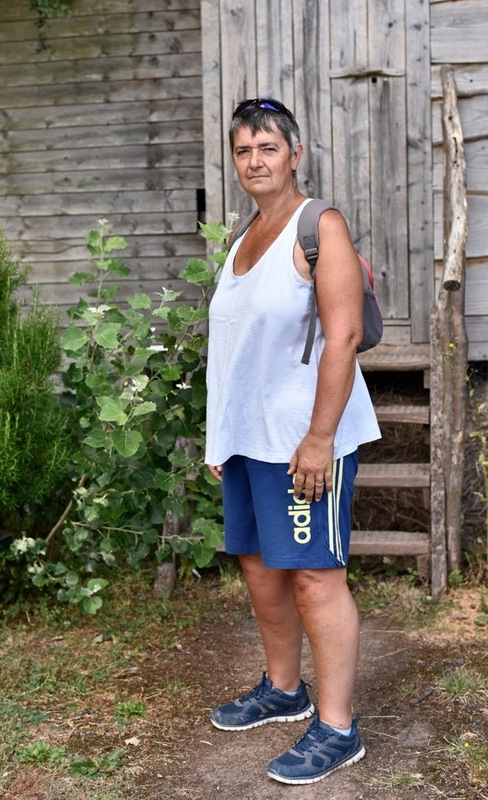 Debbie – Ginhall Lane Allotments, Leominster 2018. 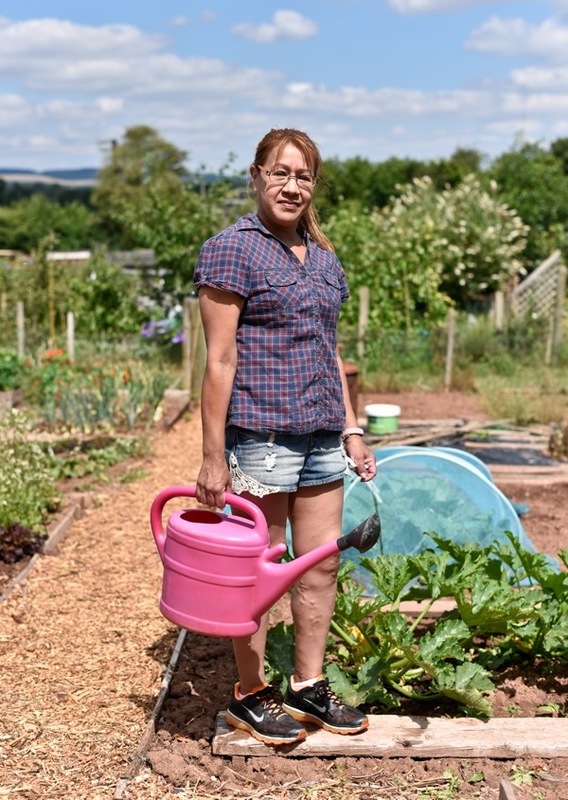 Originally from Kent, Debbie moved from London to Herefordshire. 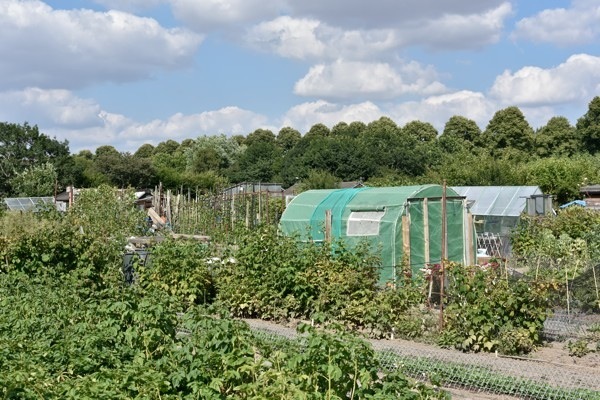 Zoe – Ginhall Lane Allotments, Leominster 2018. 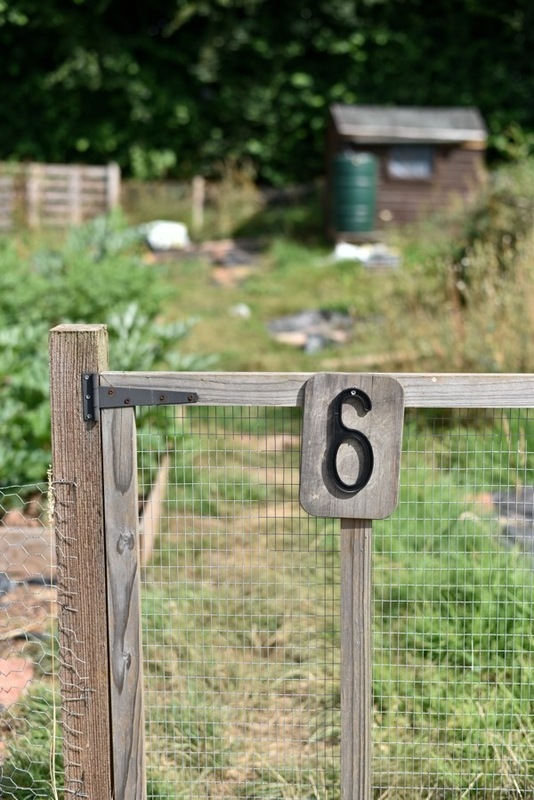 When I asked why she choose her allotment plot she said that she enjoyed watching the Red Kites, Buzzards and the cattle in the next field. Something that she didn’t see much of in London.